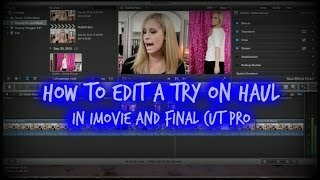 Used iMovie and Final Cut Pro (trial) to edit the video. Could I do this on my phone ? And how much is Final Cut Pro? Thank you for such a helpful video! Your explanation makes editing looks really easy! When I will have to edit a video, I follow your steps, and I think that I will manage it!! Great job with your videos!! !